The paper "Model-driven mashup personal learning environments" has been published in the Journal of Technology Enhanced Learning (Vol. 3, No. 1). The paper can be downloaded here. Mashups have become the driving force behind the development of personal learning environments (PLEs). Creating mashups in an ad hoc manner is, however, for end users with little or no programming background not an easy task. 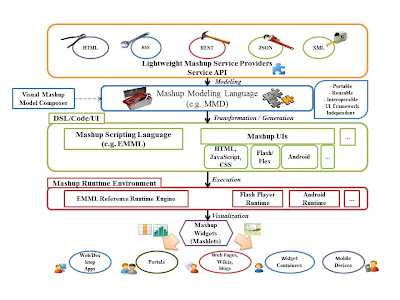 Various tools and platforms have been built in an attempt to support mashup creation. These platforms, however, are still considered complex and do not address crucial challenges in mashup development today, such as scalability, interoperability, reuse, and automatic service invocation and mediation. 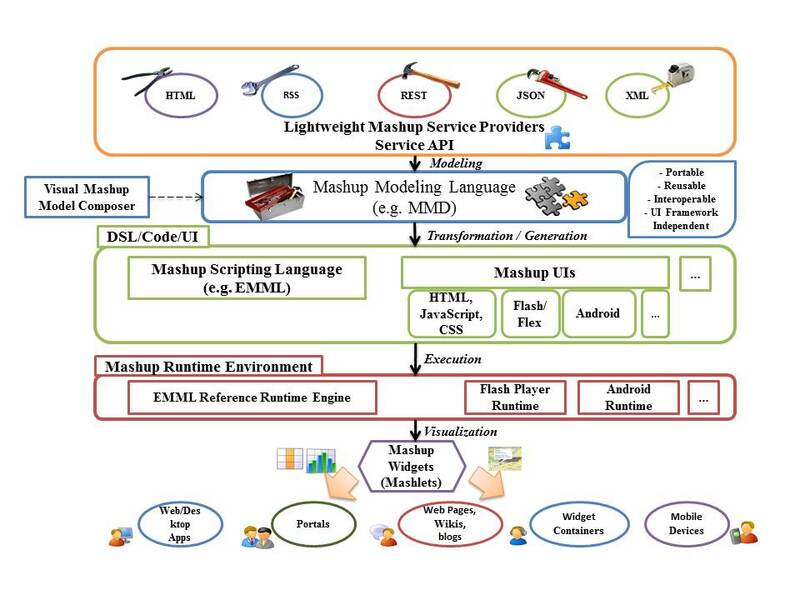 In this paper, we leverage the possibility to use the concept of model-driven mashup development (MDMD) as an approach that can drastically tackle the aforementioned issues and drive the rapid and user-friendly creation of mashups. We then present the conceptual and technical details of PLEF-Ext as a flexible framework for end-user, model-driven development (MDD) of mashup PLEs.